With a fourth Republican debate now behind us, the time has come to debrief on the night's happenings like a group of pre-teen girls returning home from a middle school dance. With the dramatic turn of events that was Sen. Ted Cruz's diatribe against journalists at the last debate focusing on the economy, the question must be asked: did Fox Business Network do a better job than CNBC at hosting a debate? 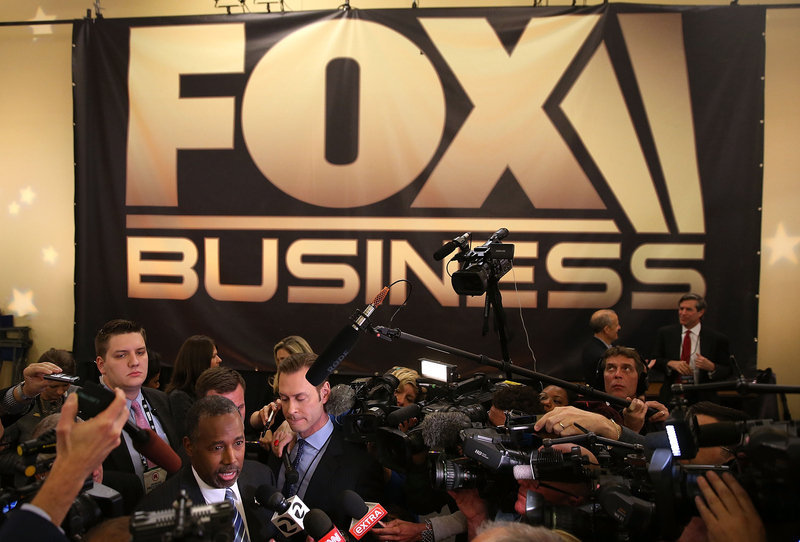 Well, FBN kinda sorta lived up to its self-hype as the "real debate" on the U.S. economy. And, as a result, the network may have one-upped CNBC by providing viewers with a substantive discussion on economic policies. During the Oct. 28 debate, things got ugly. Donald Trump may have been the first to notice the first in a string of what critics have deemed "gotcha" questions when John Hardwood asked him if his run for the White House was a comic book version of a presidential campaign; before responding, he told Harwood it wasn't a "very nicely asked question." Later on, Cruz took it upon himself to scold the debate moderators for the kinds of questions they were asking. The questions that have been asked so far in this debate illustrate why the American people don't trust the media. This is not a cage match. And you look at the questions — "Donald Trump, are you a comic book villain?" "Ben Carson, can you do math?" "John Kasich, will you insult two people over here?" "Marco Rubio, why don't you resign?" "Jeb Bush, why have your numbers fallen?" How about talking about the substantive issues the people care about? While Cruz's mocking questions were slightly exaggerated, there was some truth to the type of questioning being put forth by the CNBC moderators, who were nearly universally panned for their mismanagement of the candidates. In the days leading up to the FBN/Wall Street Journal debate, moderators Neil Cavuto and Maria Bartiromo publicly emphasized their plan to basically do the opposite of CNBC's moderators, and FBN even went as far as to make fun CNBC's debate with its own ad. What did the FBN moderators' questions sound like, then? Cavuto asked several candidates if they were sympathetic to protesters fighting for a wage of $15 an hour and whether they would increase the minimum wage. Bartiromo asked a Facebook-submitted question on candidates' plans to cut federal spending and decrease the national debt. Gerard Baker of the Wall Street Journal asked Carly Fiorina about creating jobs and asked Jeb Bush about bank bailouts. To be fair, amid all the economic talk, Republicans did find time for some more Hillary bashing, but that's pretty much a requisite part of the agenda at this point. So, in the head-to-head between FBN versus CNBC, it looks like the former took the win.